This set of 2 gallery wrapped prints would be the perfect addition to any little boy's room! 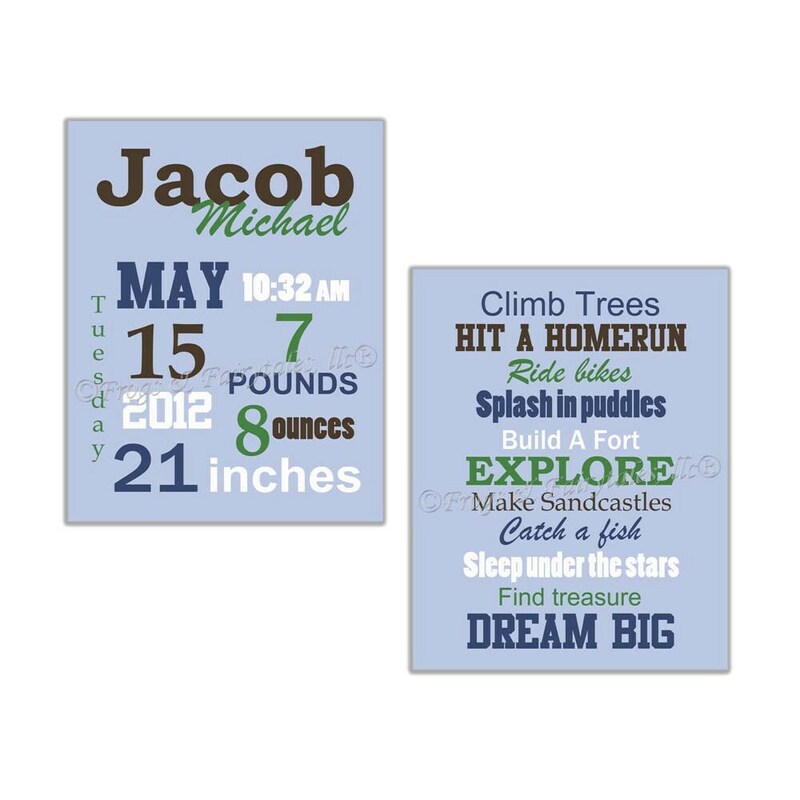 The first canvas is a typography birth information canvas print, and the second is a typography canvas print of all the things little boys should experience! 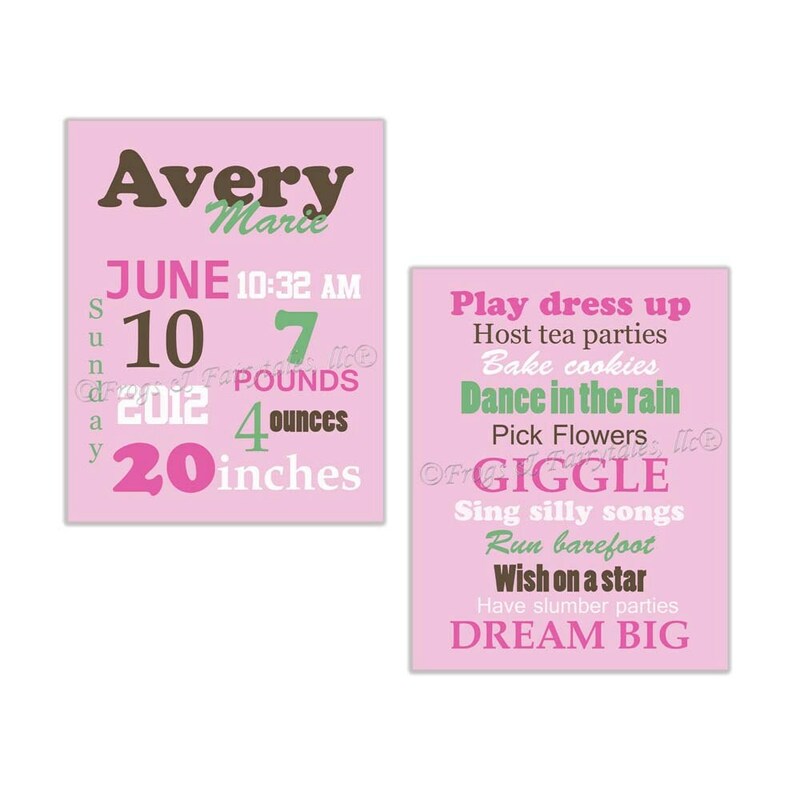 The second set shows an example done for a little girl's room. This set is shown in blues, brown, green, and white, but can be done in any color scheme you'd like! When you place your order please leave the child's birth information in the note to seller section. If you choose custom colors from the drop down menu, please leave those as well in the note to seller section-note I need 1 color for the background, and 4 for the writing. These are gallery wrapped prints, printed on matte finish canvas, signed, and sealed with a matte finish to protect the art from dirt and dust. They are hung with picture hangers, unless you note you'd rather them hung with ribbon instead. If you would like this set shipped outside the US or Canada, please message me before ordering with your shipping address, and I would be happy to quote you a shipping price.